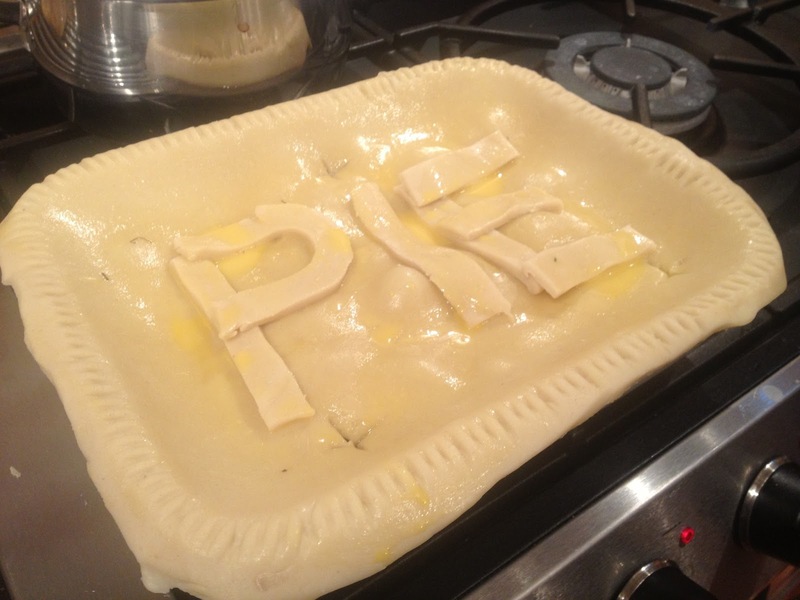 I’ve always found one of the most satisfying things to bake is a pie. No other meal you cook will be received with quite so much enthusiasm and anticipation as a homemade pie fresh from the oven. 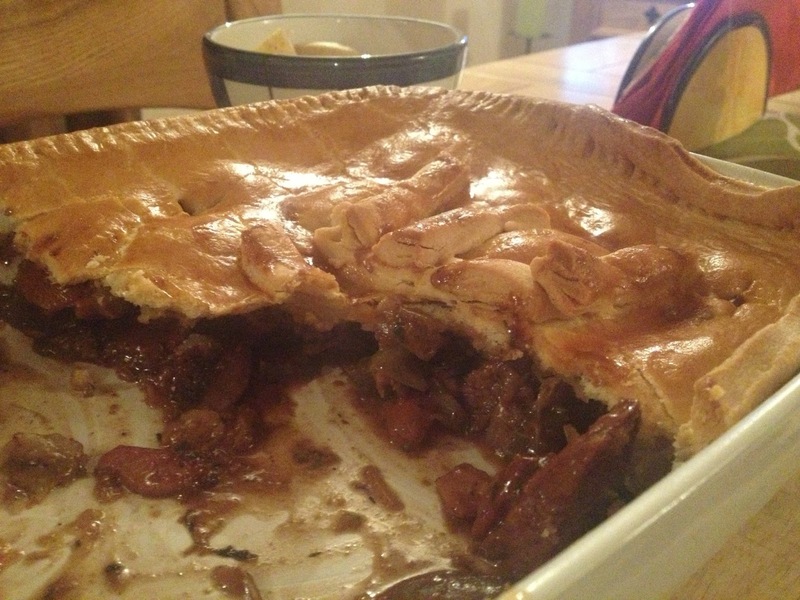 I have two favourites that I make quite regularly and since I featured the Chicken Pie recipe on here just before Christmas I’ve decided to honour pie week with my other favourite: Steak & Mushroom. It gives me great satisfaction creating something like this from scratch, I like knowing exactly what’s gone into the food I’m eating and that I can produce something really really tasty. Note about the meat: As well as being Pie Week, this week is also National Butcher Week. 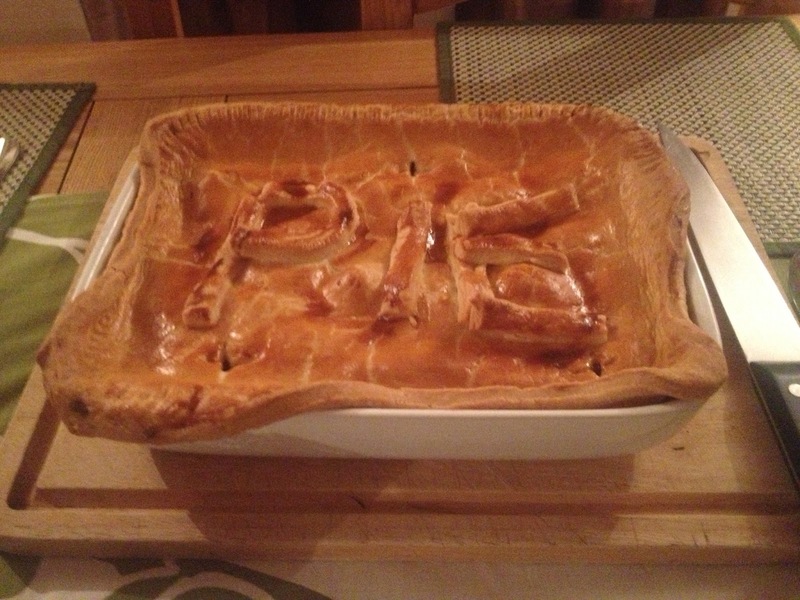 I bought the meat for this pie from my local farm shop butcher. This on site at the abattoir where the animals are killed, you don’t get much fresher than that! It’s good to support your local butchers, the meat is better, it’s not always the expensive option and its also nice to know that the beef I consume hasn’t spent weeks travelling around Europe and most definitely started out life as a cow. If issues like this worry you then the only way to know what you’re eating is to make it yourself. Try out this recipe and see how easy it can be! 2. 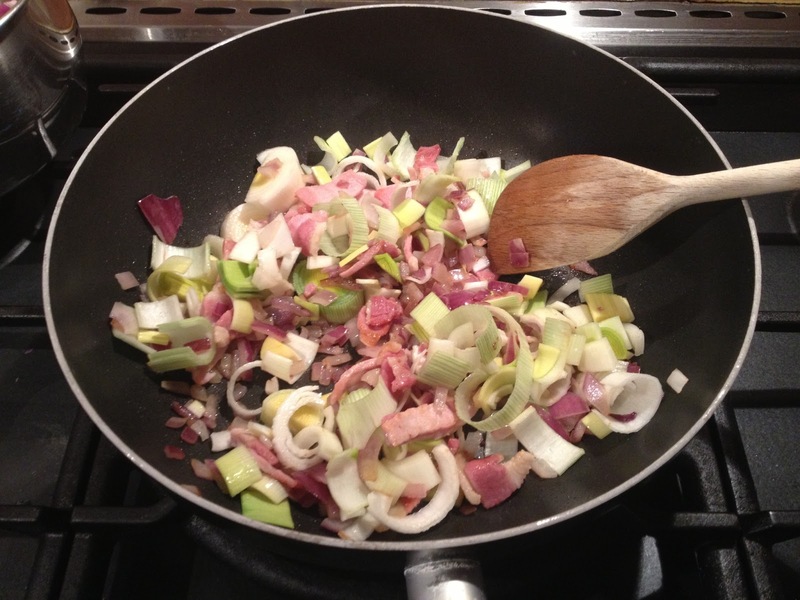 In a large pan heat a small amount of oil and start to fry the onion, garlic, bacon, and leeks. 3. 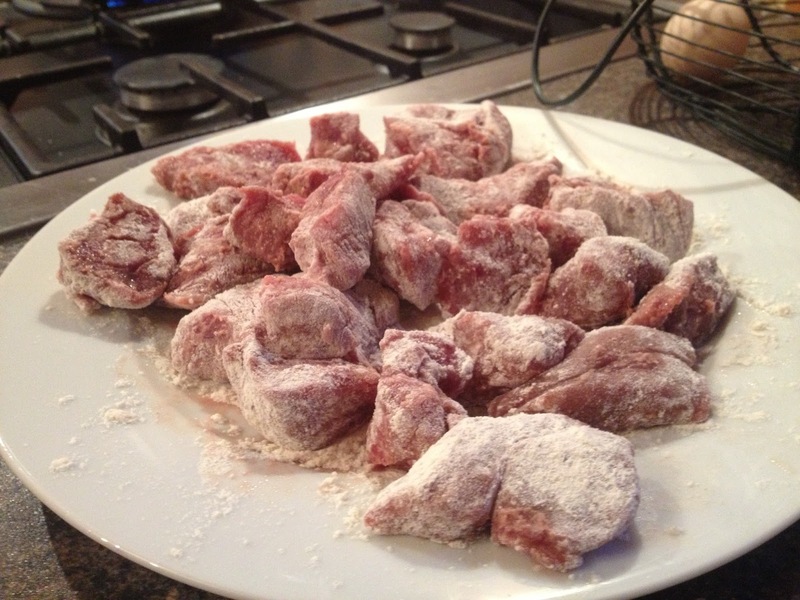 Coat the steak in the flour. 4. 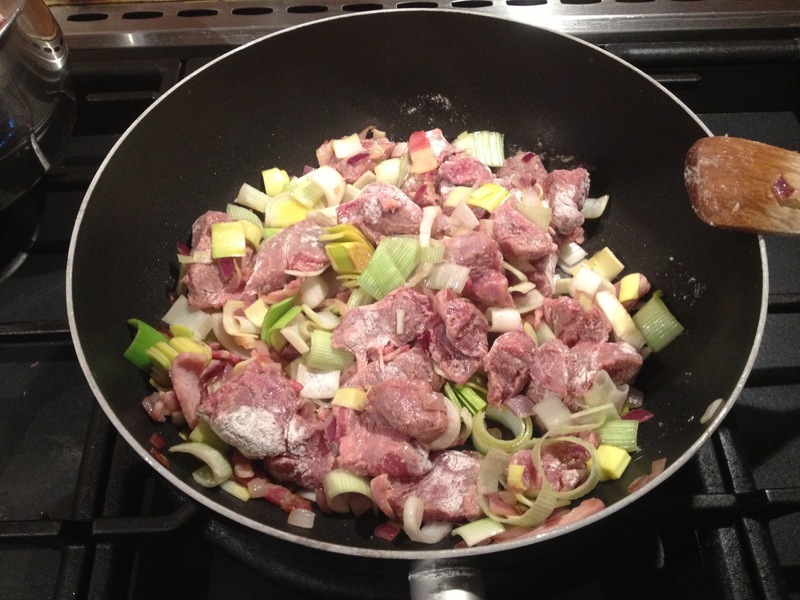 When the onions and leeks have softened add the steak to the pan and cook, stirring until the meat is browned. 5. 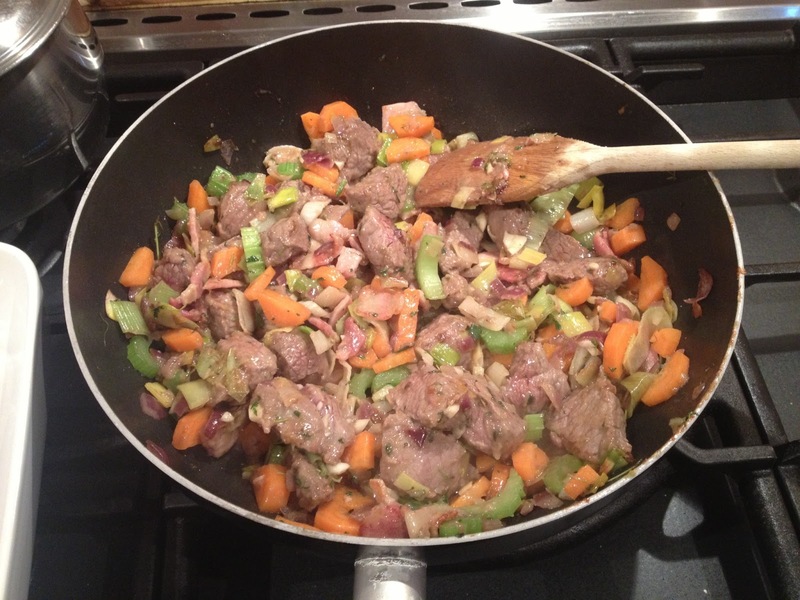 Add the carrots and celery and continue to cook for 2 minutes until carrots begin to soften. 6. Add the rosemary and thyme and pour over the stock. 7. If you’re using wine pour that in now. Add the paprika and season with salt and pepper to taste. 8. 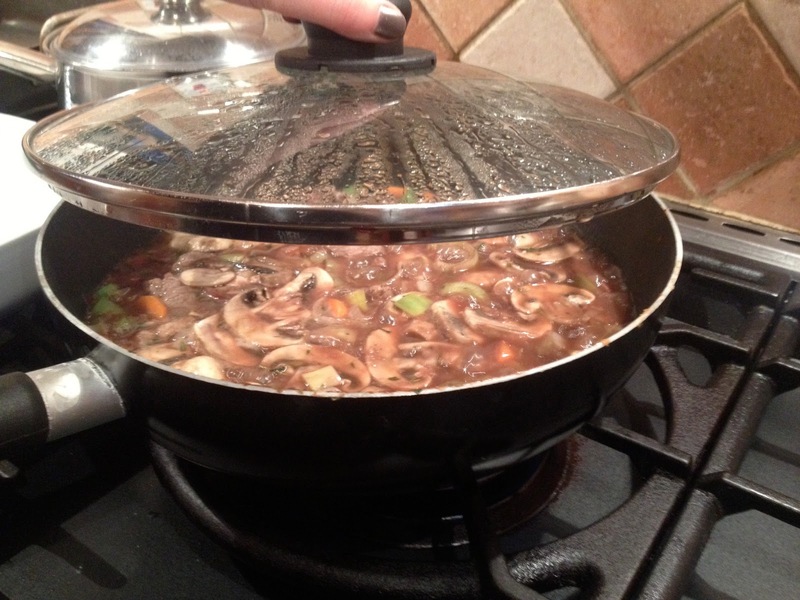 Bring the liquid to a boil and then lower the temperature just allowing it to simmer. 9. 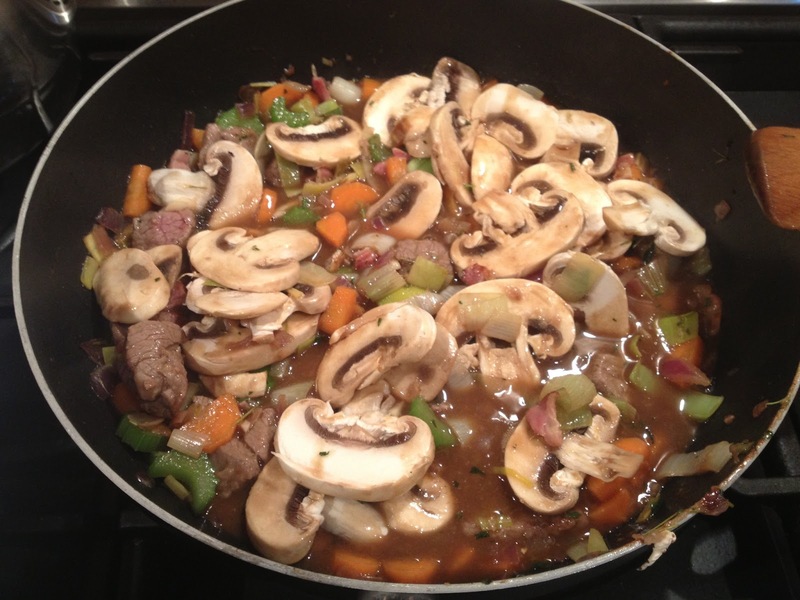 Add the mushrooms and then cover. 10. 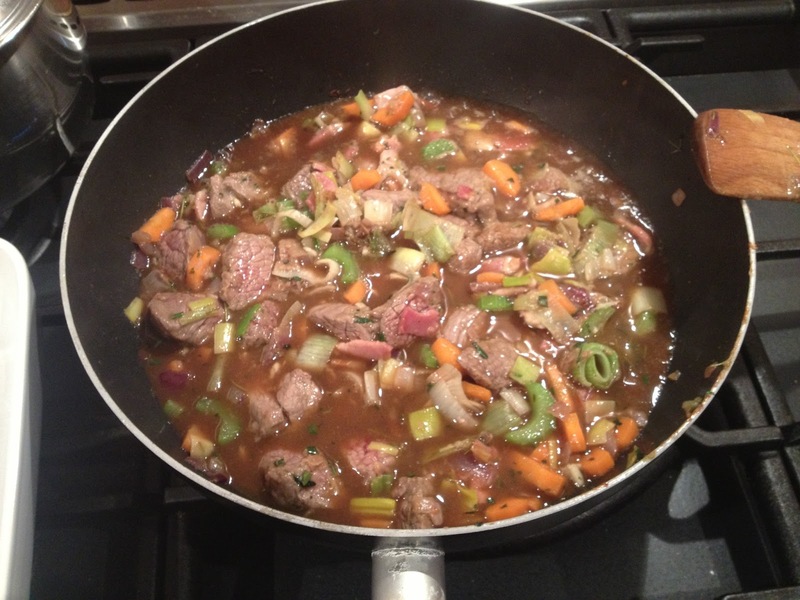 Leave covered and simmering for 20-30 minutes until liquid has reduced slightly and thickened. Check on this occasionally and stir and if the mixture looks like it’s drying up just add some more water or add more stock. 11. When the mixture is ready transfer into your pie dish. 12. Roll out your pastry on a floured surface and seal to the edges of your dish with a fork. Use cut offs to decorate. 13. Mix together the beaten egg and milk and brush over the pastry to finish. 14. Cut two criss-cross holes in the pastry top to allow steam to escape. 15. Bake in the oven for 30 minutes until pastry is golden. I don’t have a proper pie dish with a lip so my lid always tends to collapse a little, but I like to call this ‘the rustic look’. It’s my birthday at the end of the month if anyone should wish to rectify this situation and send me a nice proper Le Creuset dish? 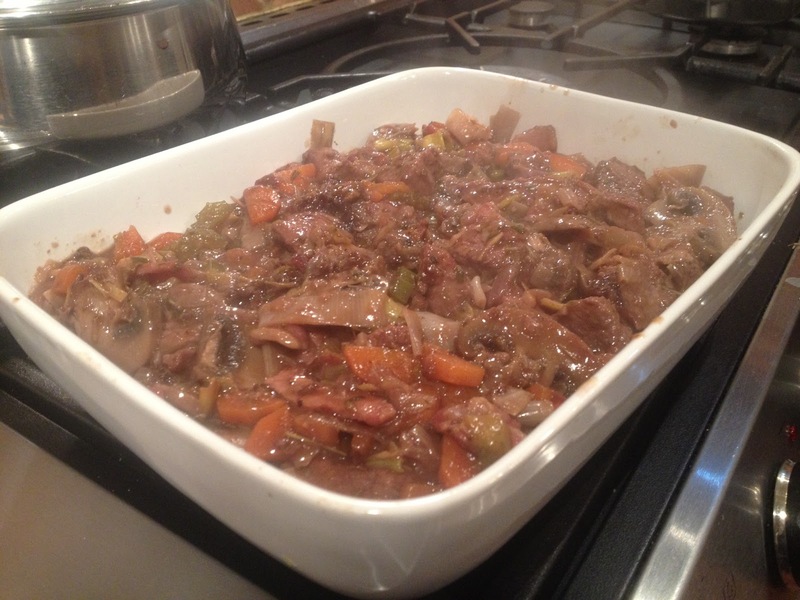 I served this with red cabbage and new potatoes.